This guide is intended for the boreal forest of northern Ontario where foraging presents an alternative to harvesting lumber and the forest’s ability to absorb the impact of harvesting is greater. It is not meant for forests in southern Ontario. 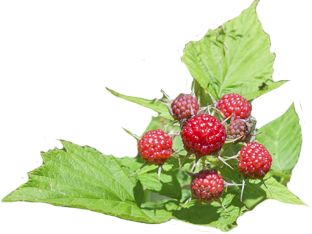 Wild edibles are important culturally, nutritionally and economically in Ontario. Aboriginal peoples have a long history of living off the land through the harvest of wild foods, providing communities with inexpensive and nutritious food year-round.Likewise, many other cultures have traditions of harvesting edible wild plants. With the recent resurgence of interest in local foods, more people are recognizing the wide range of edible and medicinal applications for local wild foods. Edible wild plants, when harvested and handled properly, can support a range of uses. The purpose of this guide is to provide recreational foragers and small-scale commercial producers with an understanding of proper harvesting, handling and packaging methods for edible wild plants. • A general rule is to collect only five percent of any individual patch of a given species within a maximum of 25 percent of an area. – Wild leeks take seven years to produce seed and can easily be overharvested. – No more than half of the fiddleheads from a single ostrich fern should be harvested to allow for regrowth. • Even abundant species should be harvested in moderation to ensure species persistence and limited food waste. • With the exception of harvesting roots, do not remove an entire plant – this provides the plant with an opportunity to regrow. • Additional suggestions and cautions for harvest can be found in the “Recommendations for Harvesting” section of this guide. without this permission can result in fines or charges. – It is advisable to get permission in writing to avoid subsequent conflicts. – No commercial harvesting in national or provincial parks. – No harvesting of nationally or provincially listed species at risk. • In Thunder Bay, the harvest of edible wild plants is also prohibited on Lakehead Region Conservation Authority parks or properties. Other municipalities may have similar regulations, so check with your local conservation authority before harvesting on their properties. • Consult with local Aboriginal communities about treaty rights, agreements and/or boundaries before harvesting on traditional territory. Initial information on traditional territories can be found at: ontario.ca/page/ontario-first-nations-map. 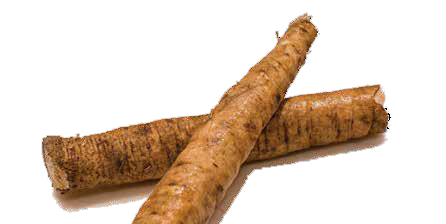 – Almost all edible members of the Carrot family have similar, poisonous look-alikes. – The false morel is poisonous and looks similar to the frequently foraged common morel. • Consult at least two sources including online guides, print guides, videos, workshops or foraging experts to confirm species identification. • Do not harvest more than you can use or sell – this practice will help reduce food waste and ensure plants have the optimal opportunity to regrow year after year. • Avoid harvesting plants from areas where pollutants and contaminants are present (e.g., industrial areas, roadsides). 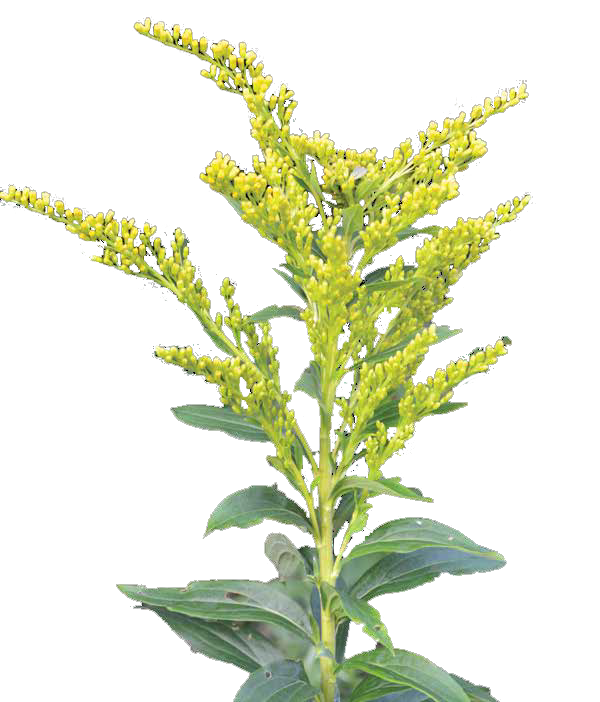 • Avoid harvesting plants from areas that may have been sprayed with herbicides. – Herbicides may be applied on a large scale over whole forests, or on a smaller scale on front lawns and around golf courses. – Spraying maps are available online to determine what areas of a public forest have been, or are planned to be, sprayed. • Avoid harvesting aquatic plants from stagnant or potentially polluted waters (e.g., downstream from industrial development). • Some plants can cause unwanted side effects for some people when consumed. • Many wild plants should not be consumed by pregnant or nursing women as they can stimulate the uterus and cause spotting or miscarriage. – These plants include (but are not limited to): jack pine, burdock, yarrow, red clover, stinging nettle. • Several wild plants can affect blood sugar levels, so diabetic consumers should not consume them at all or should seek medical advice before consuming. – These plants include (but are not limited to): burdock, stinging nettle. • Consult with a doctor if you want to use wild plants for medicinal applications as effects and reactions will vary from person to person. – Medicinal plants are contraindicated with other medications; seek medical advice. • Proper research and understanding of edible wild plants are important in order to recognize and/or communicate the cautions associated with some wild plants to customers. • Product cautions should be clearly and prominently labelled on items before sale. • There will often be no access to sanitation when foraging, so it is important to prepare accordingly. – Use garden gloves when picking plants, or have an alternate method of cleaning your hands while picking (sanitizer, moist wipes). 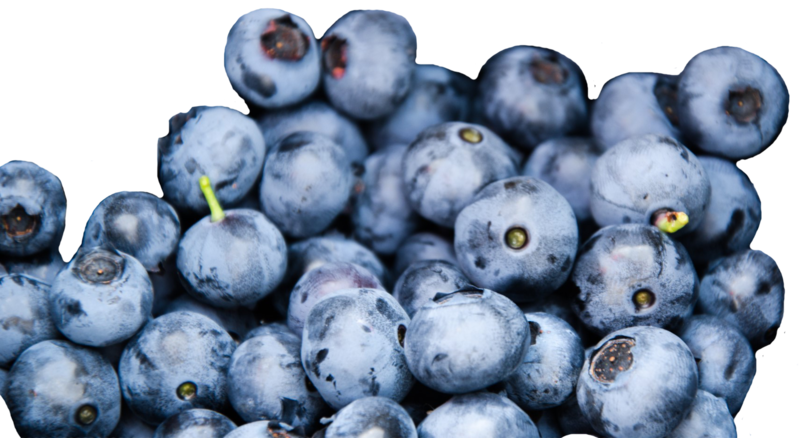 – Collect berries in containers or baskets to avoid crushing them. – Bring several sizes of bags and containers to preserve types separately. 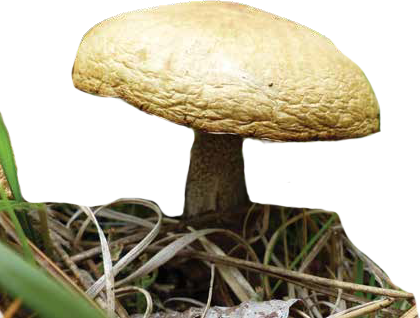 – Brush off mushrooms to avoid spreading dirt and debris among other collected edibles. – Remove any small insects present on plants or mushrooms before placing them in a bag/basket. • Do not pick plants with wilted, brown or damaged leaves as these plants are no longer suitable for consumption. • Foragers and producers must adhere to standards of personal hygiene when preparing food for personal or commercial use including tying long hair back, washing hands frequently, wearing gloves if there are cuts or burns present on their hands, and not preparing foods when ill.
• Prepare edible wild plants quickly upon returning to a kitchen (refrigerate, dry, freeze, etc.) – do not let harvested species sit unprocessed for long periods of time. • Leafy greens can be washed and handled similarly to lettuce and spinach (rinsed briefly and pat or spun dry). • Edible wild plants can be stored fresh in the fridge, or processed and stored as outlined in the “Storage” section. • Mushrooms should be collected in a basket rather than a bag to avoid moist conditions. • The majority of dirt and debris should be removed outdoors with a mushroom brush or a soft toothbrush. • Any remaining dirt can be removed by running mushrooms lightly under cool water, wiping with a damp cloth, briefly soaking them in salt water, or removing sections with a paring knife. – The ideal method for cleaning mushrooms will vary by species and intended use. – Many prefer to avoid direct contact with water to better preserve the flavour of the mushroom. • Wild plants and fungi can be dried in a dehydrator, on a drying rack, by hanging in small bunches or on low heat in the oven. – Mushrooms should be dried whole or in uniformly sized slices. – Ensure that drying racks have proper ventilation from below to allow uniform drying (e.g., dry plants on a screen or a specialty drying mat). – Edibles being hung to dry should be out of direct sunlight to preserve nutritional properties of the plants. • It is imperative that all moisture be removed from edibles before storing or processing to avoid the growth of mold and bacteria (they will be brittle and crumbly once they are properly dried). placed in airtight containers, mason jars or freezer bags labelled with the species name and date of preparation or expiry. • Species best suited for drying, include: lobster mushroom, morels, and any trees or plants used to prepare teas (raspberry, strawberry, red clover, mint, jack pine, yarrow). often followed by an ice bath) to remove bacteria or stinging hairs on the plant. 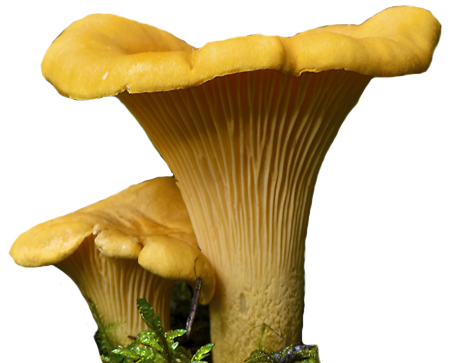 • Mushrooms can be quickly blanched or sautéed before freezing. • Do not re-freeze edible wild plants after they have thawed. • Frozen foods for sale must remain frozen (must be transported in coolers with ice packs and cannot be thawed at a market stall). • All canned/preserved goods for sale must follow the Operating Guidelines for Home Canning produced by the TBDHU. – New jars and lids must be used (producers must not reuse old jars – even if they are not damaged). – Low-acid foods, including soup, non-pickled vegetables and meat, will not be approved for sale in canned/preserved form due to significantly higher risk of botulism. • Consulting additional canning/preserving resources such as books, videos and workshops is beneficial to new producers to ensure food is processed and preserved safely. • All canned/preserved products for sale must be labelled with the product name, producer’s name and date of preparation or expiry. • Species best suited for canning, include: birch (sap), burdock (pickled root), cattails (pickled shoots), cranberry, raspberry and strawberry (jams and jellies). • Food prepared for sale must follow the regulations in the Health Protection and Promotion Act (1990) regarding the operation and inspection of a food business. • Additionally, in the Thunder Bay region, food prepared for sale must also adhere to the TBDHU guidelines for safe handling and preparation. – Food prepared at home must meet the standards outlined in the Operating Guidelines for Home Caterers (Found at: tbdhu.com). – A kitchen will be subject to inspection one to two times per year and requires a letter stating that one does not object to any inspections. – Food may also be prepared at an approved TBDHU kitchen location, such as the Regional Food Distribution Association. 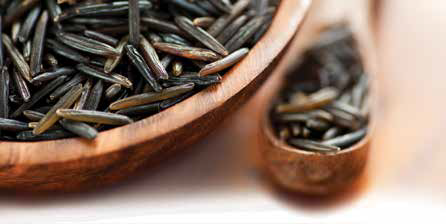 – For example, extra permits are required for harvesting wild rice, processing meat products and the out-of-province export/import of food products. – The need for additional permits can be determined by calling a municipal licensing office or visiting the BizPal Permit and Licence website (bizpal.ca/en/). – Packaged foods must be clearly labelled with the product name, producer’s name and date of food preparation or expiry. – Labels are not required for fresh fruits, vegetables or berries packaged in clear wrappers, elastic bands or berry baskets under 1.14 L in size. • Vendors wishing to sell edible wild plant products at a Farmer’s Market must submit a Farmer’s Market Food Vendor Application Form for approval. • Additional guidelines, such as the requirements for canned or jarred goods can be found in the “Storage” section of this guide. • Similar guidelines and requirements will vary among regions/municipalities – check your local health unit for local requirements. Barron, George. 1999. Mushrooms of Ontario and Eastern Canada. Lone Pine. Lincoff, Gary. 2012. The Joy of Foraging –Gary Lincoff’s illustrated guide to finding, harvesting and enjoying a world of wild food. Quarry Books. Ontario Nature. 2015. Northern Forest Foraging Guide. Ontario Nature.